Provide comfort for the family of Shirley Bennett with a meaningful gesture of sympathy. Shirley Ann Bennett, 75, of Drayden, MD, formerly of Punta Gorda, FL passed away on April 9, 2019 in Leonardtown, MD. Born on March 19, 1944 in Washington, DC she was the daughter of the late Emile Strickland Newman and John E. Newman. Shirley was the loving wife of William (Bill) Henry Bennett whom she married on June 3, 1974 in Charlotte Harbor, FL. She is survived by her children; Sassie Lumpkins of Callaway, MD, Tommy Shepherd of Piney Point, MD, Kenny Shepherd of Valley Lee, MD, Dottie Shepherd of Callaway, MD and Stacy Bennett of Glen Burnie, MD . Shirley is also survived by her brother, Charles Buckey. 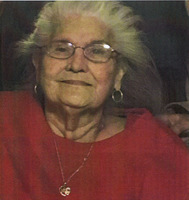 Shirley loved to spend time with family and friends. She especially loved spending time with her grandchildren. Shirley also enjoyed playing cards and going camping. But most of all she enjoyed helping others. There will be a Life Celebration at her farm house on the hill, she called Heaven on Earth at a later date. To send flowers in memory of Shirley Ann Bennett, please visit our Heartfelt Sympathies Store. A Life Celebration will be held at her house on the hill at a later date.